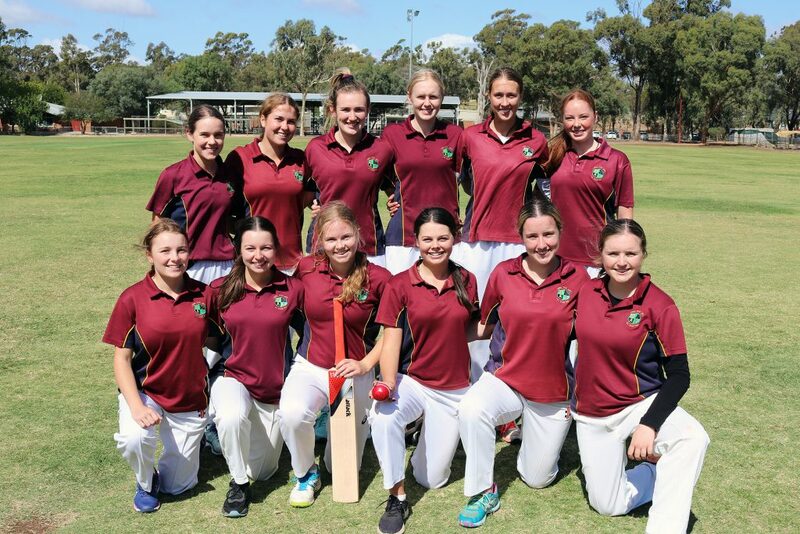 The Catherine McAuley College (CMC) Senior Girls Cricket Team made their long-awaited debut with their first round being the Loddon Mallee Regional and State Quarter final all-in-one held at Club Court in Strathfieldsaye. 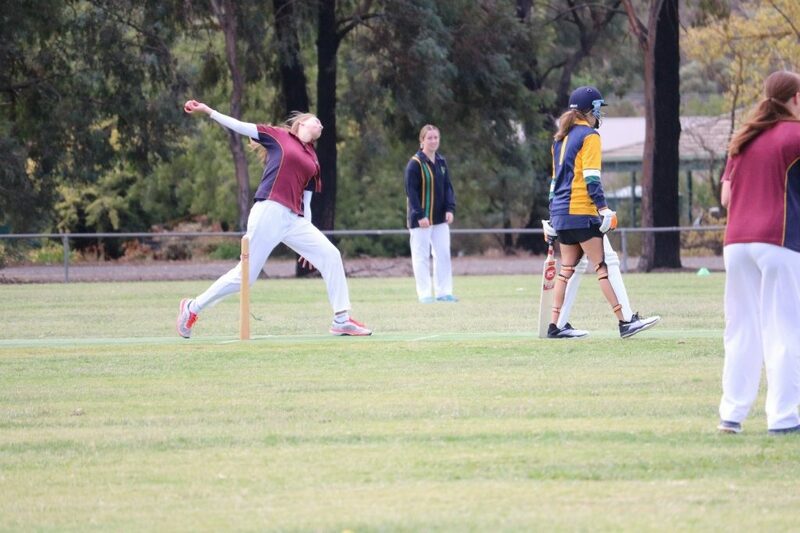 A great win on the day takes them to the State Finals in the first year of fielding a girls’ cricket team at CMC. The day started off with Co-Captains Amy Ryan and Cailin Green losing the toss to Mildura Senior College and being sent into bat first with Green and Mackenzie Nally opening the innings. 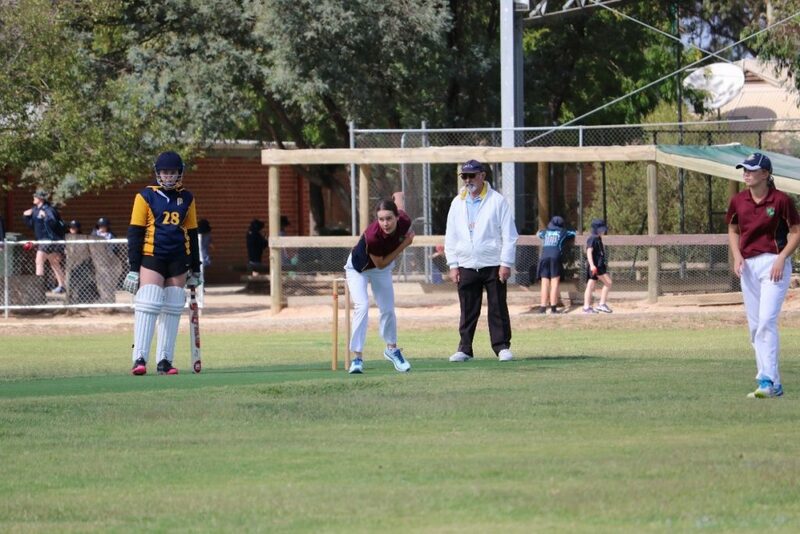 The girls got off to a flying start; with the field set deep it provided opportunities for the girls to work the ball into space and challenge the fielders with good running between the wickets. With a short delay in play due to rain, the girls decided to begin rotating through the batting order. Nally retired with 22 runs on the board, bringing in Amy Ryan to give the bowlers something new to think about. Green continued making the most of any balls that landed on the pitch and capitalised with a top score of 57 runs before retiring to bring Bridie Semmens to the crease. Ryan and Semmens went about maximising the final few overs before Ryan fell, caught behind for 15. Abby Powell sprinted to the crease and added 3 runs to the tally, with several wides and no balls starting to make it difficult to actually score. At the end of the 20 overs Semmens finished unbeaten on 5 with CMC posting a massive total of 1/153, putting the challenge out to Mildura. The bowling was a similar story with everyone contributing and keeping the talk up in the field. 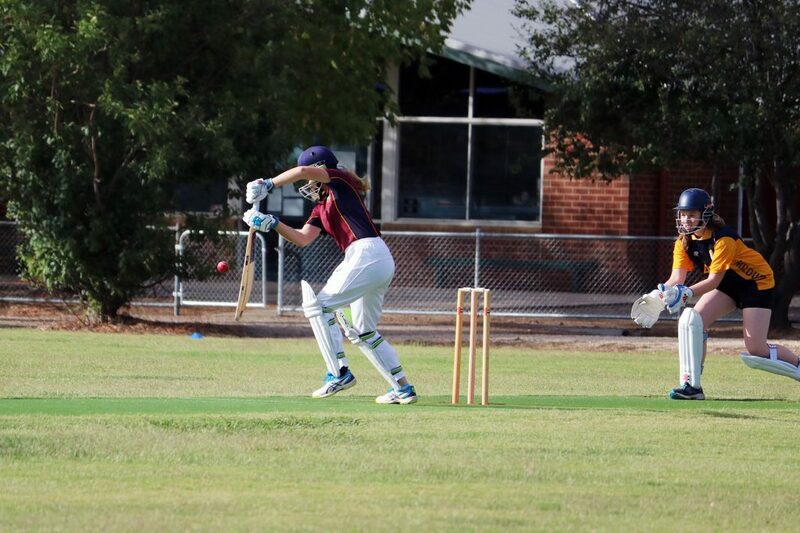 Bridie Semmens and Chelsea Furlong opened the bowling, using their pace to intimidate the Mildura openers, with Nally ably backing them up behind the wickets. 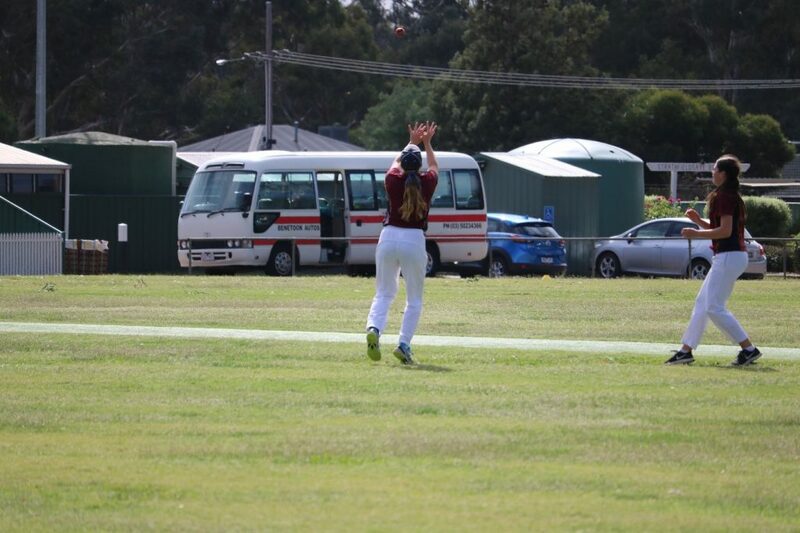 With a dropped catch raising the adrenaline levels, Cailin Green then stood tall taking a spectacular catch off the bowling of Semmens to provide the early breakthrough the girls were hunting. Abbey Clohesy was like a sheep dog as she rounded the ball up in the outfield with Emmie Banfield and Eva Burtonclay-McMahon providing support, backing up and assisting with the long throws in from the outfield. 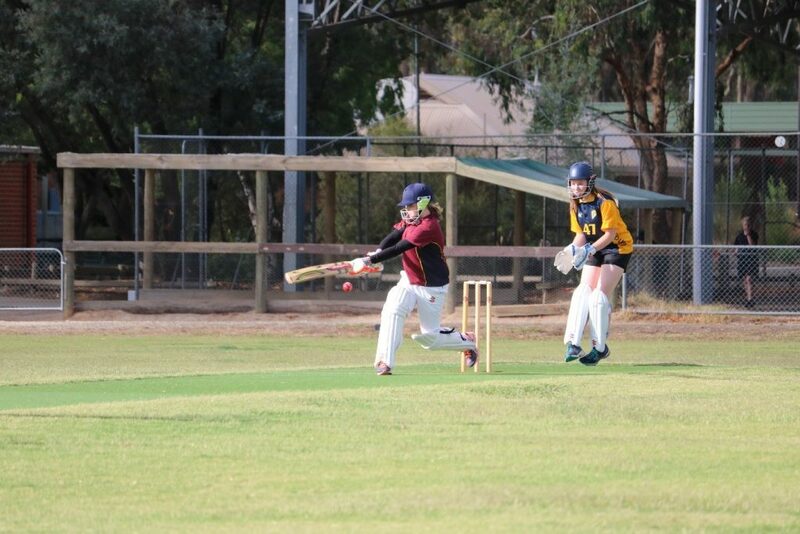 Emily Collins used her powerful arm to put Mildura’s running between wickets to the test and then the introduction of Powell into the attack saw her take a sneaky wicket to really dampen the oppositions spirits. Amy Ryan was brilliant with the ball; she started with a Maiden and finished with the figures of 2 for 4 off her 4 overs. 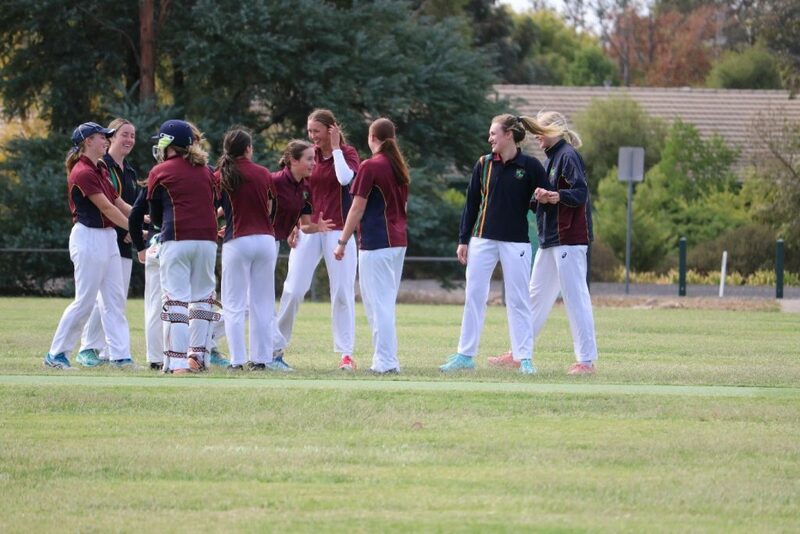 Green was never out of the action as she kept taking catches, one off her own bowling, and when Keeley Jones stepped up with a brilliant throw resulting in a run out that definitely put a stop to Mildura making any sort of impact on the scoreboard. After their 20 overs were up Mildura finished on 5/52 and a brilliant win to the CMC team was complete. It was a great game and the girls looked every bit the cricketers we knew they were and the convincing win was a reflection on that. They now progress through to the State Finals which are to be played in October. A huge thank you to Harry McKinley and Jack Keating for assisting with scoring on the day, and Maree Pearce for her organisation behind the scenes. Cailin Green taking a catch with Amy Ryan watching on.